Born in the German-speaking part of Switzerland, Dapel trained as a teacher, and worked for four years as an elementary schoolteacher. While still living in Europe, she was exposed to Buddhist meditation in the Theravada tradition and regularly participated in meditation retreats with a youth group. During extended travels in Asia, she attended the month-long lam rim retreat at Kopan Monastery with Lama Zopa Rinpoche, followed by the three-month Vajrasattva retreat there. At the age of 28, Dapel decided to dedicate her life entirely to spiritual practice. In 2008, she ordained as a Buddhist nun. She received her shramanerika ordination vows from His Holiness the Dalai Lama in Dharamsala, India, at the same time as Tenzin Nangpel. Dapel brings to Dharmadatta Nuns’ Community a deep and stable commitment to community as an integral part of her personal spiritual practice. Before taking her ordination vows, Dapel had travel to France to experience life in the Vietnamese tradition in Plum Village, and to England to the Theravada monastery, Amaravati, to taste monastic life there. 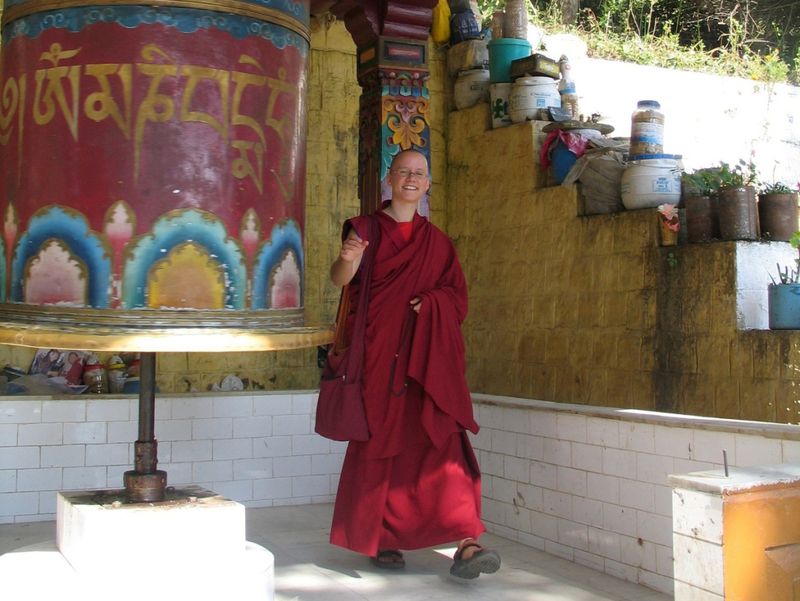 After a year spent as a nun studying the Tibetan language in the Thosamling Institute in Dharamsala, India, in 2009, Dapel joined Dharmadatta Nuns’ Community as a founding member, and has formed part of that community ever since. Along with the other nuns in the community, she began undergoing her spiritual training in India under the guidance of His Holiness the 17th Karmapa. Dapel and other nuns in the community have been attending the rigorous 5-year study program at Pullahari Monastery in Nepal, participating in the annual shedra led by Drupon Khenpo, the principal tutor of Jamgon Kongtrul Rinpoche. Living in India, she regularly receives teachings from His Holiness the Dalai Lama, His Holiness the Karmapa, Tai Situ Rinpoche, and many other eminent masters. Although Dapel had studied English and French, as well as her native German, she had not been exposed to the community’s second language Spanish. 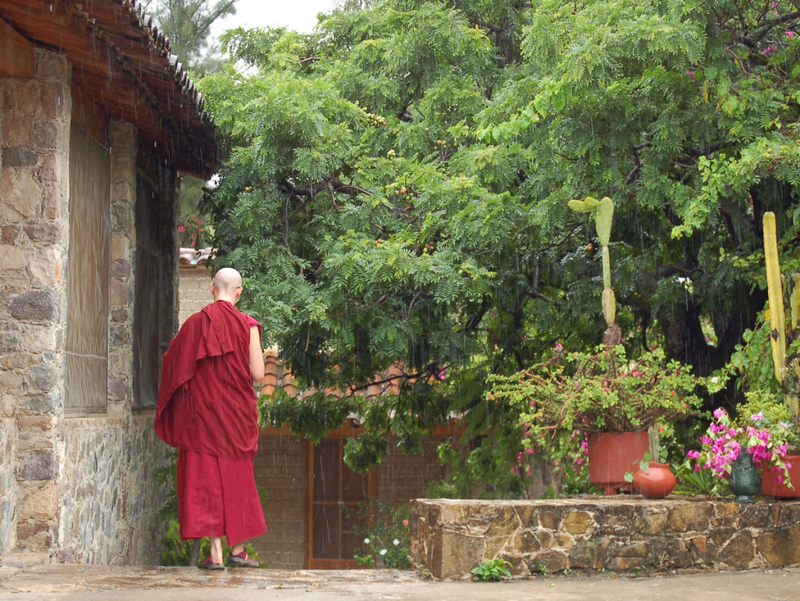 After her first trip to Mexico to help lead the three-month Vajrasattva retreat there in 2012, it became clear to her the Dharmadatta community was in a position to offer service in the Spanish-speaking world, and she at last began undertaking serious study of Spanish language. Since then, she has become increasingly fluent and now leads practice sessions in Spanish. Since 2012, she has travelled annually to Karma Triyana Dharmachakra (KTD), the North American seat of His Holiness the Karmapa monastery, to participate in retreats with Khenpo Karthar Rinpoche and help organize Spanish-speaking retreats organized by Dharmadatta Nuns’ Community there. Dapel serves as Dharmadatta Nuns’ Community’s chantmaster. Along with a clear and strong chanting voice, Dapel seems to have inherited her parents’ eye for images (both her parents are visual artists.) She worked alongside Damchö as co-photo editor of Dharma King: The Life of the 16th Gyalwang Karmapa in Images, a visual biography of the 16th Karmapa produced under the direct guidance of the 17th Karmapa, Ogyen Trinley Dorje, to be published in 2016. During the process of preparing the book, she and Damchö viewed over 12,000 images of His Holiness the 16th Karmapa. She also designed and maintains this website.